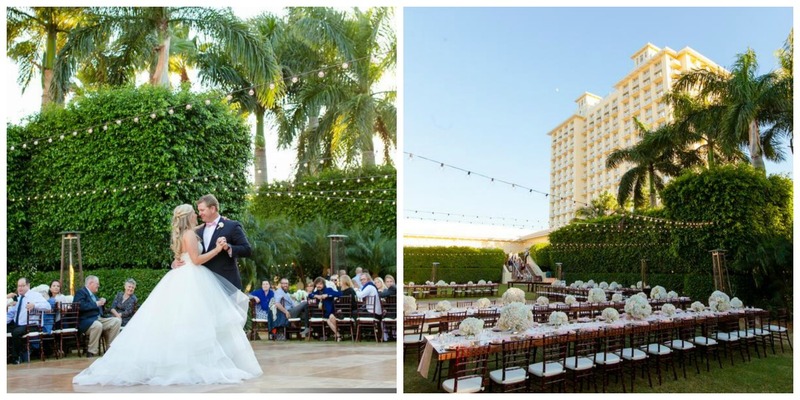 One thing's for sure, there are some amazing venues to host a wedding here in Southwest Florida and one of those venues is definitely The Hyatt Regency Coconut Point. 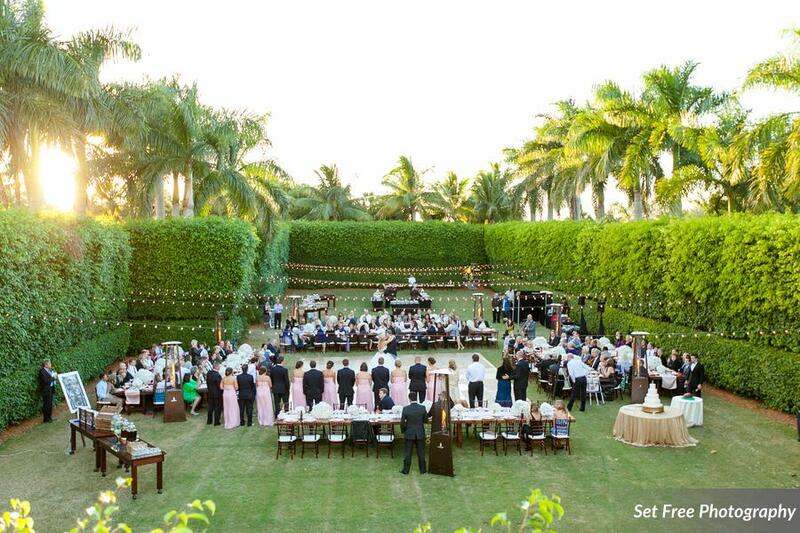 Even though it is such a large resort, the property has some great nooks to help create the feel of an intimate gathering wether it's a wedding of 50 or 250! 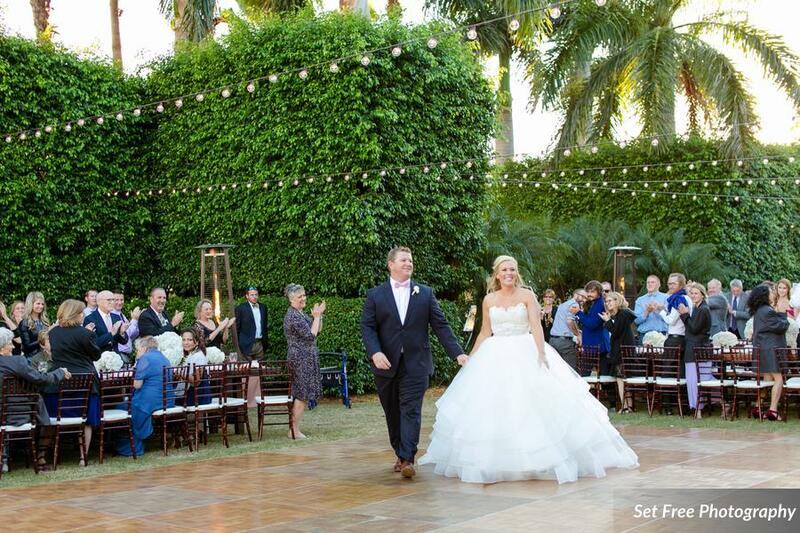 Today's feature was a wedding that was located in the Royal Palm Courtyard on the beautiful Southwest Florida Resort. It's a secluded, but spacious lawn that it enclosed in tall hedges so you and your guests have privacy and feel like you've got the whole place to yourselves! 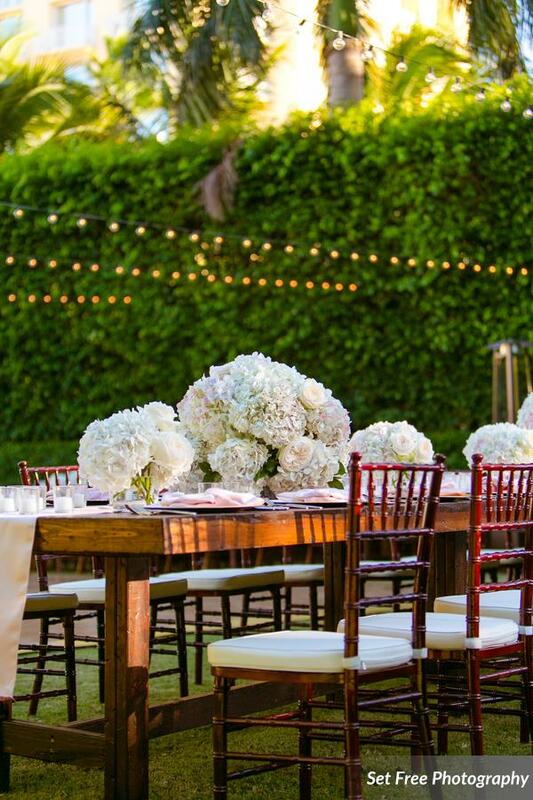 Niche Event Rentals provided some beautiful table and chair rentals to set the scene for this outdoor reception. 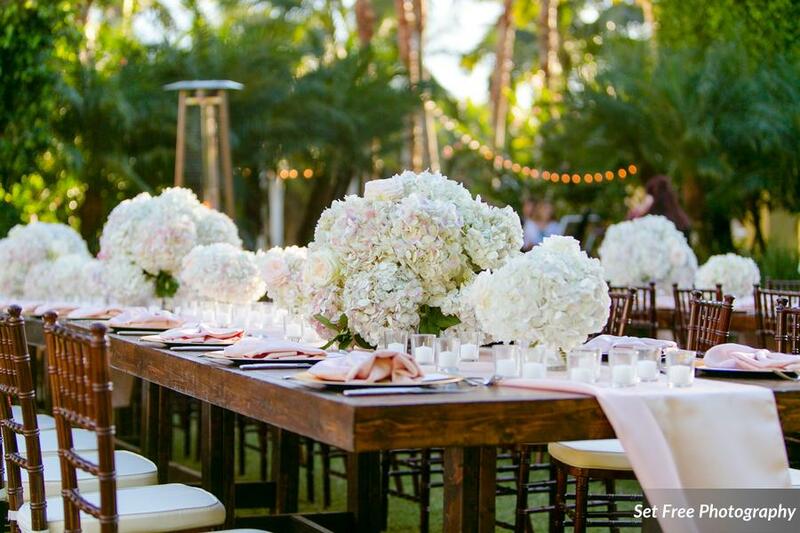 This wedding in particular wanted a more casual yet elegant look, so they accomplished that by using our wooden farm tables that are really spacious and have alot of character as if they were a great vintage find. 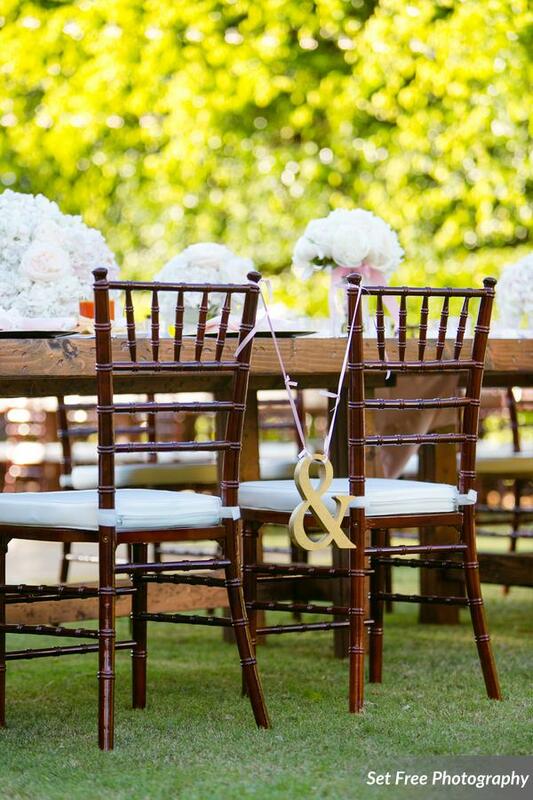 They also paired these tables with our mahogany chivari chairs to give the event a beautiful elegance. The whole scene was focused around the dance floor which Niche Event Rentals can certainly provide. We have a variety of dance floors available from wooden parquet to all white, all black or even checkered dance floors. To top off the look and make the space even more beautiful as the sun set this couple rented bistro lights overhead to add a warm glow to the Royal Palm Courtyard at the Hyatt. 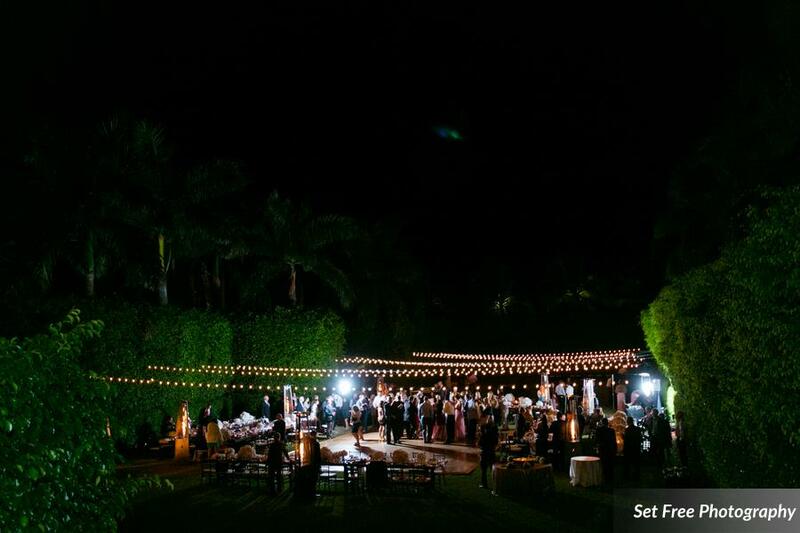 If you are looking to find a ton of rentals all in one place and check a alot off your wedding planning list, give us a call at 239-352-9000 and let's get started planning your Southwest Florida wedding! A very special thanks to Set Free Photography for all of the lovely images. Get ready for all your holiday partys with Niche Event Rentals!